We’ve been making it for years, and it’s incredible stuff. I’m not usually a huge fan of walnuts, but the texture and flavor they take on when ground up with the right spices and herbs is out of this world. 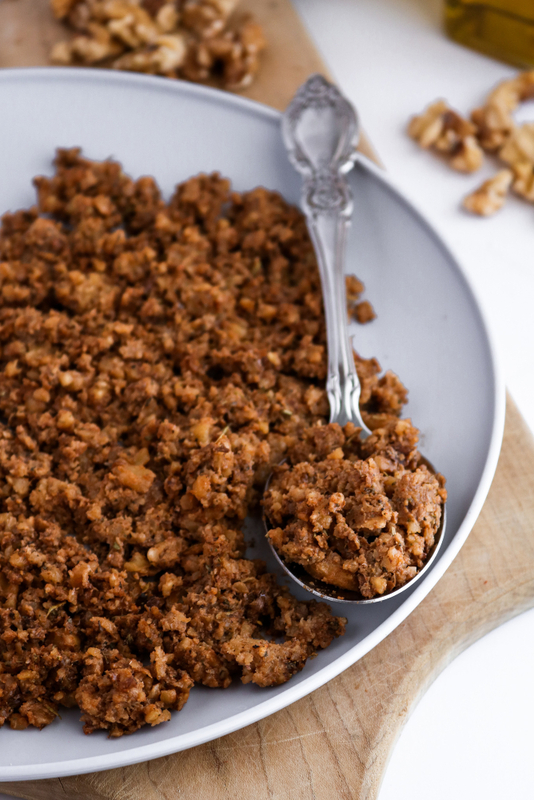 We especially love making walnut meat in the summertime because you don’t even have to turn on the oven! Plus, it’s easy peasy to make: Soak your walnuts, throw everything in a food processor, pulse a couple times, and EAT. The walnut meat recipe we’re going to share with you today is a little different from others we’ve seen out there that are usually seasoned to taste like ground beef. This is the one we use for that. We love it on tacos and nachos, and this tator tot hotdish 😍, but one day – when our spice cabinet was running a little low – we realized if we could make a beef-style walnut meat, we could totally make a sausage-style one. And thus, we got to work. Actually, it didn’t take much work, 😅 just a few swapped seasonings and bing, bang, boom, the sausage walnut meat was born! So, what can you do with this sausage-style walnut meat? ALL. THE. PASTA! 🍝 Stuff it into lasagna, toss it with penne, add it to baked ziti or homemade ravioli! Seriously ALL the pasta. PIZZA! 🍕 From a classic sausage and pepper pie to a less traditional pesto pizza, this sausage-style walnut meat is going to be your new favorite pizza topping. Two words: Breakfast. Tacos. 🌮 Ohhh, or mixed into a tofu quiche. Or hell, just thrown right into your morning scramble next to a mountain of breakfast potatoes! Okay, that was more than two words, but you catch my drift – this is a breakfast game-changer! Dips + Appetizers! 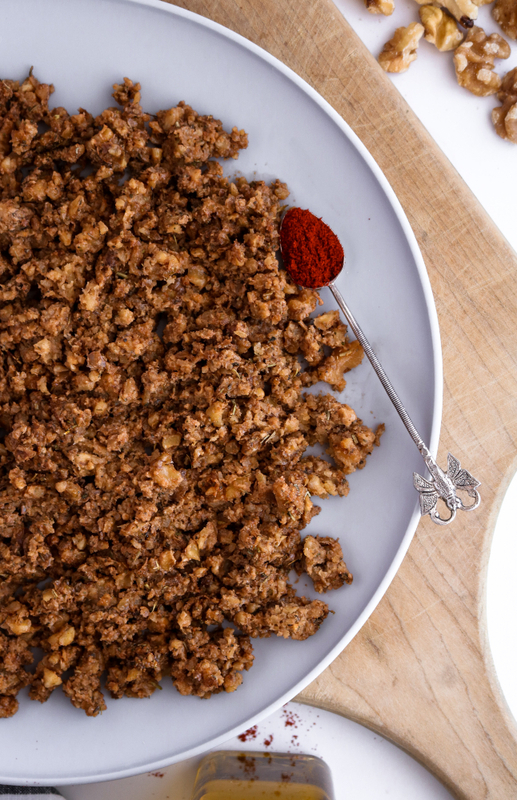 This sausage-style walnut meat is crazy-awesome in hot dips when you’re looking for an extra ground meaty texture. We also use it in these cute stuffing balls that are perfect for the holidays! 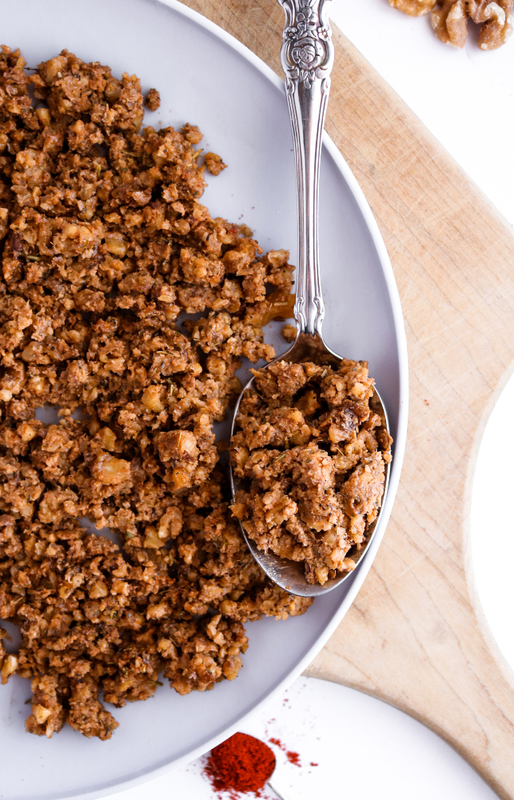 This sausage-style walnut meat is so easy to make, has a GREAT texture and unbeatable flavor. We love it on everything from pizzas to pasta dishes, salads to breakfast tacos! Drain and rinse the walnuts and add them to a food processor with the remainder of the ingredients. Pulse the mixture 6-7 times or until the walnuts are well-combined with the spices and they look like ground meat. Stop to scrape down the sides as needed. Enjoy on pizzas, pasta dishes, tofu scramble, etc.! I LOVE this stuff! I put it on top of roasted spaghetti squash with marinara and vegan mozzarella... so yummy! I can’t wait to try it in more recipes! Going to try for church pot luck can the nut meat be added to sauces. Hi, Tina! How exciting!! You can totally use the walnut meat in sauces. We love using it to make vegan sausage gravy and our Tater Tot Hotdish. This looks great! Is the texture fairly similar too? Hi, Suzanne! Thank you so much. We love this stuff! :) The texture is less tender than animal-based ground sausage but more tender than biting into a handful of raw walnuts. It kind of reminds me of those really crispy pieces of ground sausage or beef that I always loved growing up! Hi, Vanessa! You are so very welcome. :) I'd say it will last up to 5 days in an air-tight container in the fridge! How would this do if I added it to a dish and froze it? Hi, Jessi! Walnut meat freezes really well. We've frozen it in recipes like our Tater Tot Hotdish with great success! This stuff is amazing!!! I make it all the time now and even my nonvegan friends love it! This recipe is AMAZING! At first it seemed a little salty just trying it on its own but on the pizza it was delicious. Might scale back the soy sauce just a tad on my next version but my friend who is ever skeptical about my vegan substitutions said this would completely fool her and she totally loved this! Great recipe! SO happy to hear how much you're enjoying the recipe! Yay! Thank you so much for this recipe! I modified it for my own recipe (cream cheese sausage braid) so I used sesame oil instead of olive oil and I used sage (for breakfast sausage taste) and dehydrated onions and it kinda gave it the "everything bagel" taste it was super good. I mixed the "sausage" in with the cream cheese and sauteed onions and celery and put in croissant braid. I can't wait to try the Italian style though in Spaghetti squash. I will let you know how it is after the one we just had I know it's going to be good! 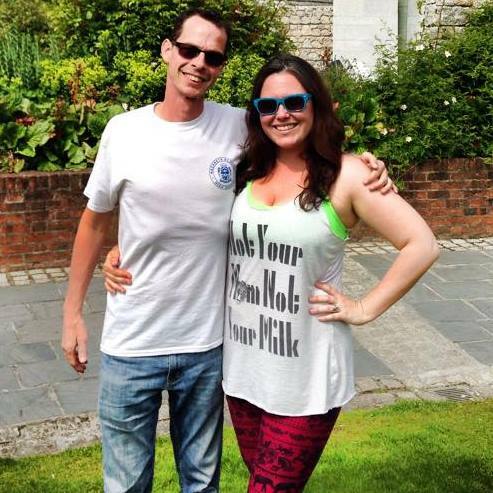 Thanks again for sharing! Yaaaas! So happy to hear this, Cindy! And that cream cheese sausage braid sounds like a pure work of art. We've gotta try it!! Omg, what an amazing idea! Thinking about it is totally making me hungry. :) So happy to hear it was a hit!